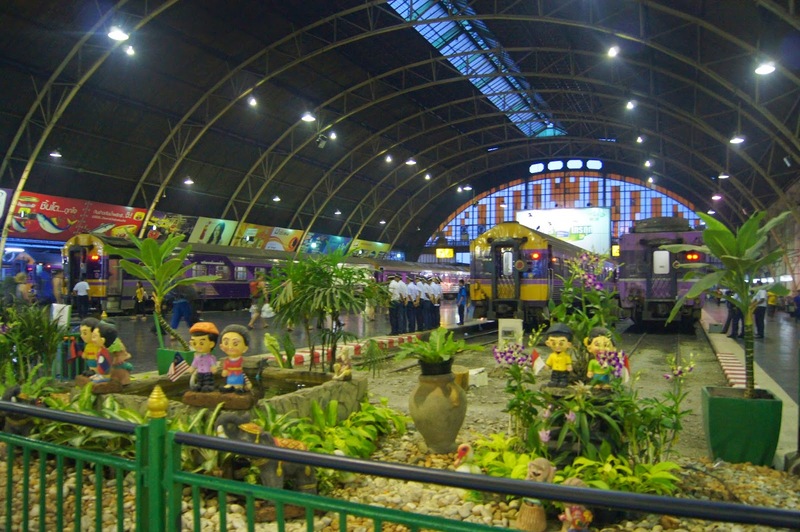 After Bangkok, Chiang Mai was the next stop on our Thailand travels. Situated in the North of the country, this city has a much more relaxed vibe to it. Remnants of the old city walls and the surrounding moat separate the old city from the new. Surrounded by imposing mountains, you have to venture into the hills to really make the most of your experience there. 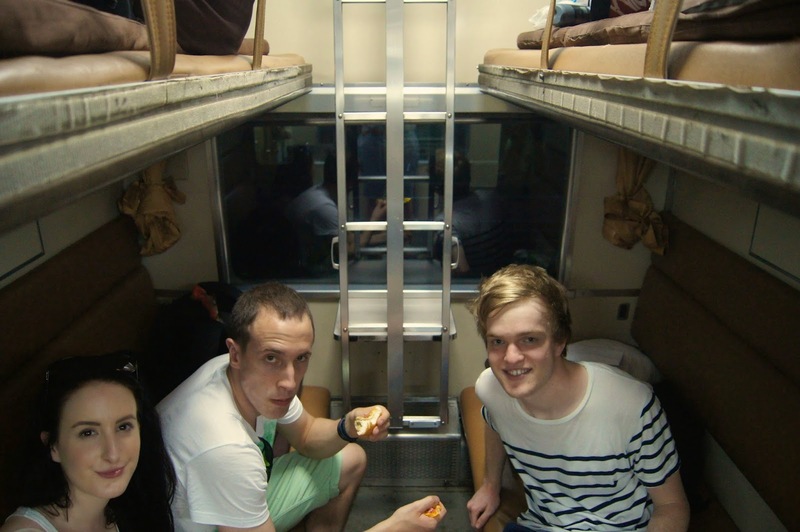 Instead of getting a flight between the two cities, we decided on getting the cheap, overnight train from Bangkok to Chiang Mai. The journey takes twelve hours, but as you're sleeping, you don't waste any precious exploration time, killing two birds with one stone. As we'd seen various pictures of different trains online, we weren't sure what to expect from the train when we boarded. Fortunately, we got lucky and had a four-bunk booth to ourselves. The train is pretty basic, but it has everything you need and the views as you approach Chiang Mai in the morning, are beautiful. Personally, I slept really well, but the guys on the top bunks found the air-conditioning to be freezing cold and had to pile on some extra layers. That aside, the journey was surprisingly trouble-free and fun. 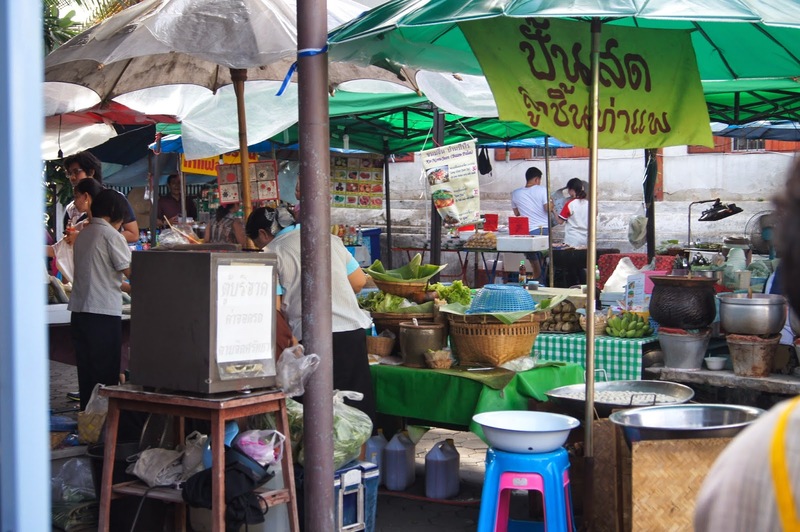 One of the cities biggest attractions are the sprawling markets. As we were there during a weekend, we were able to experience the Sunday Walking Street, which is the perfect place to pick up souvenirs. Stalls full of hand-made crafts, clothing, edible creepy-crawlies, beautiful artwork and typical, tourist-favourite fakes line the busy streets and are impossible to miss. Freshly prepared right in front of you, the food available can be some of the cheapest and tastiest. Although, you do have to be careful, as some stalls are more hygienic than others and it's best to avoid certain stands if you don't want to get a funny tummy. If you miss the Sunday market, then the Night Bazaar is open every evening and you can purchase all of the same kind of things. 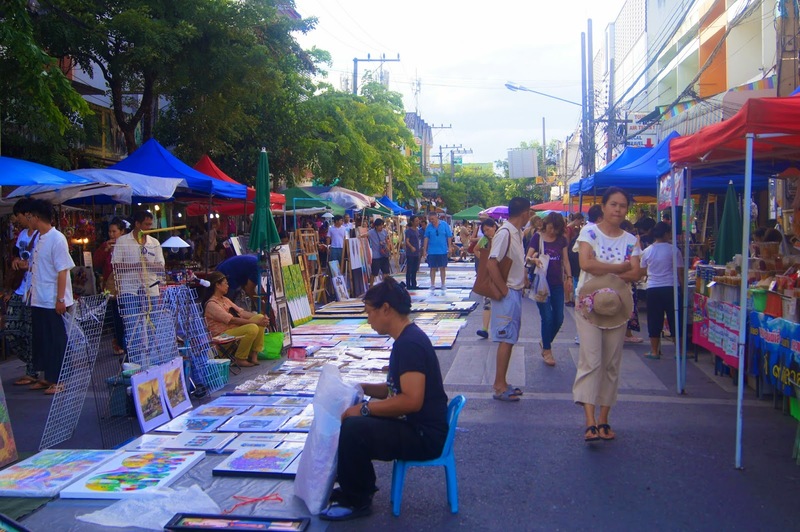 Shopping in Chiang Mai is probably the most relaxed experience that you'll find in Thailand. You aren't harassed or pressured to buy and can browse to your heart's content. Elephant trekking is advertised everywhere in Chiang Mai. 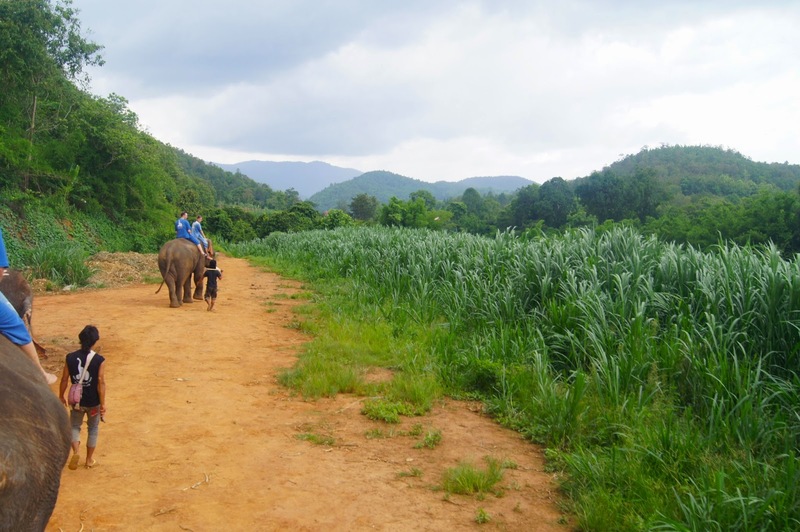 After reading up about the different elephant parks before we went, we hoped to avoid being caught up in a tourist trap and ending up in a place that had questionable standards and abusive practices. 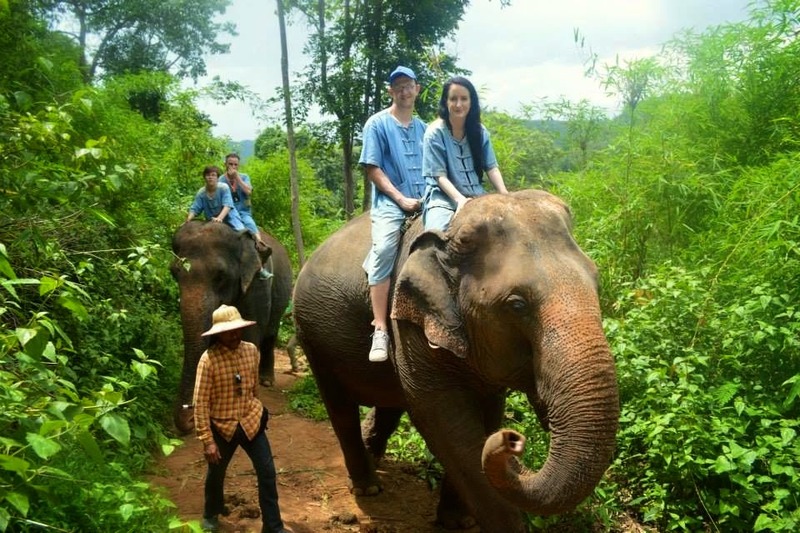 The Baan Chang Elephant Park had such positive reviews, didn't force their elephants to perform circus acts and offered bare-back elephant rides that didn't use metal chairs. During our day there, we learnt of the plight of elephants in Thailand, how the park was helping to rescue them and about their lives. We also got to feed and interact with them, properly wash them and ride them around the park for roughly 40 minutes, all whilst wearing some rather fetching double-denim outfits. The lunch we were provided with was delicious and the views we had whilst eating were beautiful. There was no problem with our booking or our transportation and all of the staff were helpful, friendly and polite. But, not everything was positive. When we first arrived, it seemed as though the animals were free to roam, but on closer inspection, they were loosely chained to tree stumps, in clusters. Despite the staff explaining that this was for the local's, visitor's and elephant's safety, as they can fight when they've been rescued and all come from separate family groups, we couldn't help but feel as though this was cruel. Throughout the time we were there, all the elephants were freed from their chains at some point and could walk freely, but obviously that's not the ideal scenario. Whilst the elephants all looked physically healthy, some of the younger elephants in particular were swaying, which is a notable sign of mental distress. 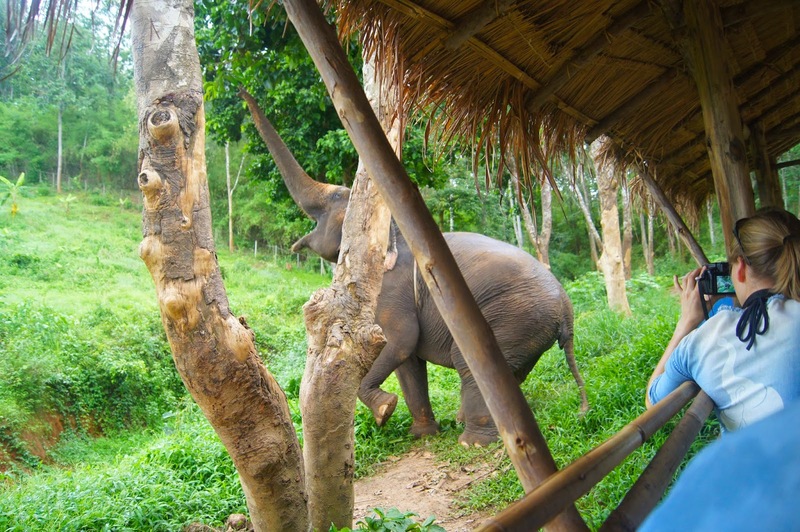 Each elephant had a dedicated mahout at its side, at all times and they did carry a bull-hook. Personally, I didn't see any use of the hooks or cruelty towards the elephants from anyone at the park, but these tools are used to control elephants and you can't be sure of what goes on when the visitors aren't there. Obviously, these elephants have wild instincts and can be unpredictable and dangerous, especially when they've experienced trauma in the past, so I could see why precautions are needed to be taken to ensure the safety of everyone. 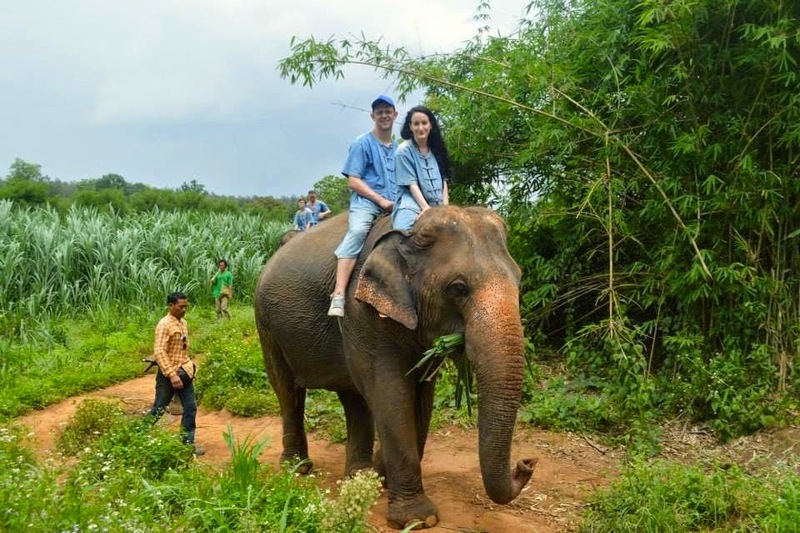 Whether the reasons given in regards to the negative aspects of the park and the elephant's welfare were actually justified, pre-planned excuses or downright lies, I do feel as though Baan Chang could be doing significantly more for the elephants they are trying to protect. Building a boundary around the edge of the park and dividing the space into sections so that the elephants could be more free would be possible, especially with the amount of money that the park clearly makes. Whilst we mostly enjoyed our experience at the park, I'd always be wary of this type of place, in future and would much prefer to visit somewhere like the Elephant Nature Park, instead. We also went to the Eagle Track Zipline whilst in Chiang Mai, which turned out to be one of my favourite experiences. Unfortunately, we didn't risk taking our cameras with us, so I don't have any photographs to show you. Most tree-top adventures are fun if you aren't afraid of heights, but it was a whole different experience when surrounded by the most breath-taking scenery. There's a bunch of ladders to climb, drops to jump down and rickety bridges to negotiate. Right in the heart of the forest, you get such a thrill soaring through the canopy, above the Maeram River. After you've finished the course, you walk back to the camp through the trees and lunch is provided for you. Depending on the package you choose, it can be quite expensive, but it was well worth it. Whilst in Chiang Mai, we stayed in private rooms at the Soho Hostel. 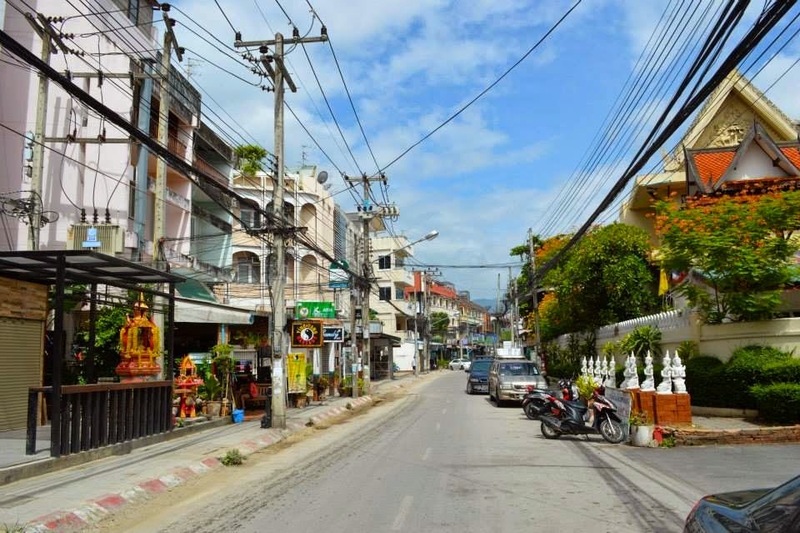 We were within walking distance of the city center, but found it best to get a tuk tuk back to the hostel at night, as large groups of Thai girls would follow people down the street and try to reach for men's pockets, to steal their wallets. The hostel itself was disappointing, but we didn't spend too much time in the rooms, so it was bearable for the time we were there. Whilst the communal areas were clean and modern, the place lacked atmosphere. Our rooms were a decent size and were always cleaned well, but whenever the shower was used, the water wouldn't flow down the drain and would flood everywhere. After coming back from Thailand and reading reviews online, I noticed that a lot of people had mentioned their belongings going missing whilst staying there. At the time, I'd lost a few beauty products and makeup items, but thought I'd made a mistake, or had misplaced them myself. Even though it was only little things that are easily replaced, that is never acceptable and I'd definitely steer clear of that hostel if I were to go back to Chiang Mai. Have you ever wanted to visit Chiang Mai?